Simbin hat eine neue Version seiner Free-2-Play Rennsimulation RaceRoom Racing Experience veröffentlicht. Anhand eines umfangreichen Changelogs können die Spieler prüfen, ob auch Fehler beseitigt wurden, die bei ihnen für Probleme gesorgt haben. 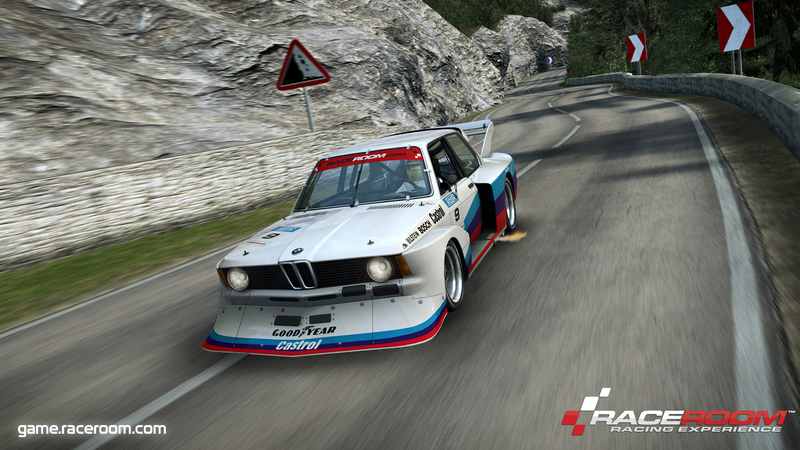 RaceRoom Racing Experience befindet sich noch immer in der Open Beta-Phase und wurde jetzt mit einem neuen Update verbessert. Zwar warten die Spieler weiterhin auf die Implementierung eines Multiplayer-Modus, doch auch die nachfolgend im Changelog aufgeführten Fehlerbeseitigungen tragen deutlich zu einer Spielspaßsteigerung bei. Wann indes der angesprochene Mehrspielermodus veröffentlicht wird, ist weiterhin unbekannt. Für DTM Experience, das offizielle Rennspiel zur Deutschen Tourenwagen Masters, ebenfalls von SimBin entwickelt, soll Anfang 2014 ein Mehrspielermodus veröffentlicht werden. Eventuell können sich dann auch R3E Spieler über eine entsprechende Neuerung freuen. Updated localization with various corrections and fixes. Added a new track and a special livery for a competition launching soon. Check insider.simbin.com for more information on upcoming events. Fixed an issue in DTM Experience Timing screen where the user could inadvertently select another driver after clicking on the list of personal times. Fixed an issue where the cars could lose their position when driving on the track section marked as pit entrance. Optimized the short term black screen that was appearing after loading into a session. Fixed various issues with network file paths for user data. Improved memory usage in game for 32-bit Windows systems. Added an option to toggle ON/OFF the overlays. (E.g. DTM Experience in game hud overlays). Fixed an issue where Automatic gearbox could sometimes not go into reverse from first gear at very low speeds. DTM Data Display: Tweaked the threshold for when gearbox damage indicator lights up. DTM Data Display: Fixed an issue where Aerodynamics damage indicator was lighting up when Mechanical Damage was set to OFF. Repositioned some of the DTM overlays. Changed the color of the Invalid Lap time overlay from red to yellow to indicate that it is a reminder about lap being invalid. Fixed the color on Lap by Lap split times. Fixed an issue where the overlay for the track name and upcoming session wasn’t cut out correctly. Changed the order in Media hub. Media hub now sorts the list from newest to oldest. Fixed an issue where on certain systems the game was not recognizing the correct resolution and aspect ratio on windowed modes. Because of this, the mouse cursor was not highlighting menu buttons when hovering over them. Fixed an issue where special characters still weren’t appearing correctly in in-game position bar. Fixed an issue where key repeat was not working properly on some buttons on steering wheels, causing flickering when changing driving view. Fixed an issue where the game was not reading the car setup values correctly after restarting in a Leaderboard Challenge. Fixed an issue with AI driver name tags were appearing mispositioned on triple screen mode. Fixed an issue where automatic shift sometimes wasn’t downshifting. Fixed an issue where the eliminated AI would start driving if player had started Instant Replay while in Qualifying. Fixed an issue where position bar settings would not get remembered correctly after starting a new session. Fixed an issue where certain underclocked/overclocked systems with faster/slower system timers, would get Invalid Lap despite not cutting the track. Fixed an issue with the apply confirmation button becoming greyed out in Video settings on some occasions. Fixed a rare crash that could occur when switching focus out of the game by ALT+TAB, right after game was started. Fixed a rare crash that could occur when exiting the game. Fixed an issue with broken pause menu when disqualified. Optimized data calls and on DTM overlays. This will reduce stuttering some users get when overlays appear. Fixed an issue where the position bar was not showing the last digit on four digit position numbers. Increased the precision of shadow maps. Fixed and issue with LOD priorities for shadows. Tweaked shadow maps for medium and high settings to remove flickering. The particle quality setting now affects the particle resolution. This will reduce halos and flickering from particles on high settings. Tweaked maximum virtual mirror size. Disabled shadows in rearview mirrors. Added Rearview Mirror Quality setting to Graphics options. Added Shader Quality setting to Graphics options. Fixed an issue with Adaptive AI where the data was storing when restarting or quitting non race sessions. Adaptive AI: Added default AI difficulty values for each difficulty. If there is no previous AI data on a track, the default values will be used which differs based on difficulty now. Fixed an issue with Adaptive AI where an interpolation issue could occur if the average performance difference between two AI were too small. Fixed an issue where AI would return to pits on the lap before the last lap, if the player wins the race with overlap. Increased timeout time for online protocol communication which should reduce the timeout issues some users are having. Increased the amount of subscribers showing in Subscribers section in Brand Pages to 500. Fixed an issue where News feed could show multiple instances of the same entry. Removed the limit of Search only showing 10 results. Fixed an issue where player would get error 209 continuously if he/she did not log in at first attempt. Purchased page will be hidden until the user has purchased content. Fixed unnecessary file store connection usage on portal images. Fixed an issue where in-game leaderboard always defaulted to Amateur rather than what the player used last. Temporarily disabled “delete account” option in account settings due to some players accidentally deleting and requesting restoring which is not possible.